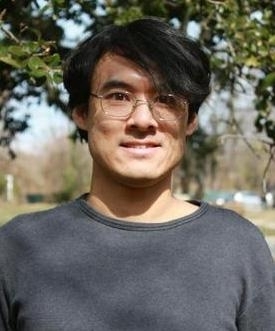 HAMPTON, Va. — A planetary probe mission concept study proposed by a team led by Hampton University assistant professor of Planetary Science, Dr. Kunio M. Sayanagi, has been selected for funding by NASA. The Small Next-generation Atmospheric Probe (SNAP) team will receive $435,000 from NASA to examine the advantages, cost, and risk of adding SNAP to the future Uranus Orbiter and Probe mission, which is the current decade’s next-highest priority planetary flagship mission after the Mars 2020 and Europa Clipper missions. SNAP’s study objective is to design a probe that will determine the atmospheric vertical structure of Uranus including clouds, temperature, and wind. SNAP’s key goal is to take these measurements from within the planet’s atmosphere. Atmospheric explorations enabled by SNAP will lead to an improved understanding of the chemical and physical processes that shape giant planet atmospheres, which in turn will shed light on the formation and evolution processes of the giant planets and the solar system. Additionally, studying the atmospheres of other planets will test our understanding of basic processes that affect the weather and climate under various conditions, which in turn will improve our ability to predict the weather and climate on Earth. 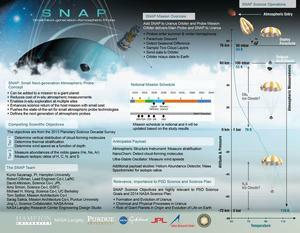 As the Principal Investigator (PI) of the study, Sayanagi will lead a team of scientists and engineers from NASA Langley Research Center, NASA Goddard Space Flight Center, NASA Jet Propulsion Laboratory, NASA Ames Research Center, Purdue University, and the University of California Berkeley as well as an independent consultant to further develop the SNAP mission design. The study will be funded by NASA’s Planetary Science Division in the Science Mission Directorate. The SNAP team is vying for a position to be included as a small secondary spacecraft that NASA is considering for all future planetary exploration missions. SNAP was selected among only 10 of 102 proposals submitted to NASA. Sayanagi is an assistant professor in the Department of Atmospheric and Planetary Sciences (DAPS) at Hampton University. SNAP is only the latest space project the university has undertaken. The Center for Atmospheric Sciences (CAS), which is part of the DAPS, has total mission responsibility for NASA’s Aeronomy of Ice in the Mesosphere (AIM) satellite launched on April 25, 2007; Professor James Russell is the Principal Investigator of AIM. Most recently, on February 19, 2017, NASA launched the fourth instrument of the Stratospheric Aerosol and Gas Experiment (SAGE), led by Professor Pat McCormick. The new SAGE instrument has been installed on the International Space Station, and started returning data on March 17th.